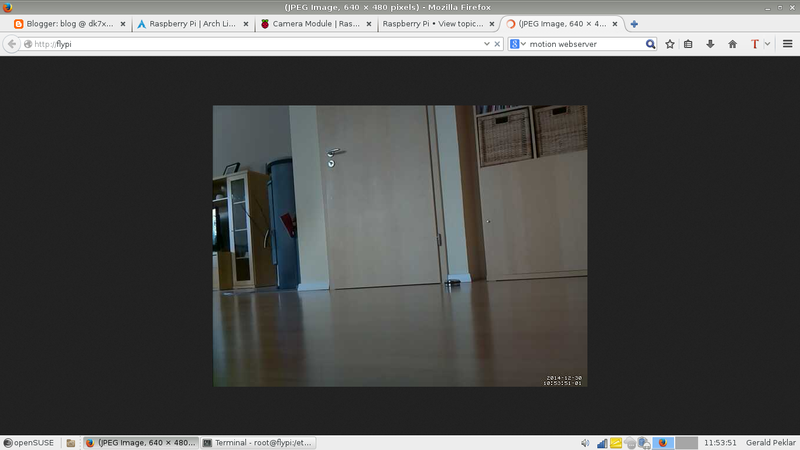 This blog post describes how to set up the RaspberryPI camera and use it with Motion. Motion is a motion detecting web cam software. As prerequisite we need a prepared SD card with the latest ArchLinux system. The installation is described on http://archlinuxarm.org/platforms/armv6/raspberry-pi (tab Installation). Insert the SDcard into the PI and power it. Logon to the console with user/pwd root . btw: My favorite editor is nano. Now we set a meanigful hostname for the PI to identify it easily on the network ( i normally do this right after preparing the SD card on my laptop to be able to easily ssh on to). Change the name "alarmpi" to something else if you like. 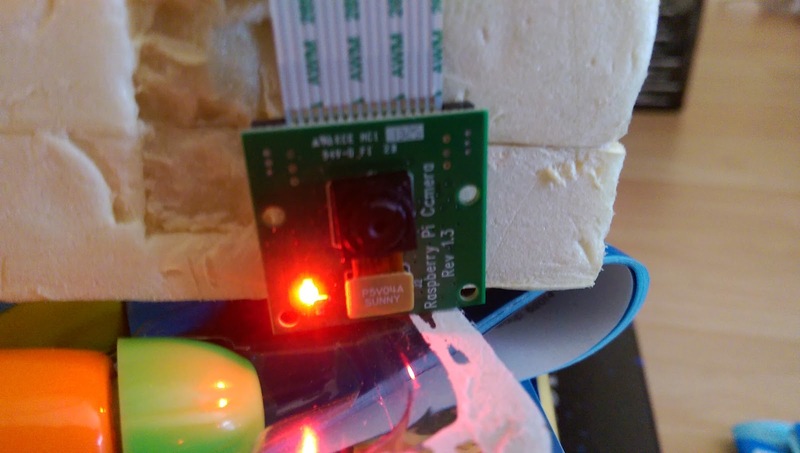 I call mine "flypi"
To have the camera as video device under /dev we need to make sure the the corresponding module (bcm2835-v4l2) is loaded at boot. Now we reboot and check if the camera is enabled. Connection to alarmpi closed by remote host. Check if the camera is enabled is done by checking if /dev/videox exists. Confirm all choices with Y. ..and wait until upgrade has been finished. We install and enable the ntp package to have the correct time. Confirm all choices with Y. ..and wait until installation has been finished. Now we reboot to be sure that all the latest software is running. Connection to flypi closed by remote host. Change the directory where images/video is saved according your needs. I like mine to be saved under /srv/http. Configuration options are documented on the Motion web-home under Config File Options. Enable Motion and start it. Afterward the red LED on the camera module should light up. Created symlink from /etc/systemd/system/multi-user.target.wants/motion.service to /usr/lib/systemd/system/motion.service.